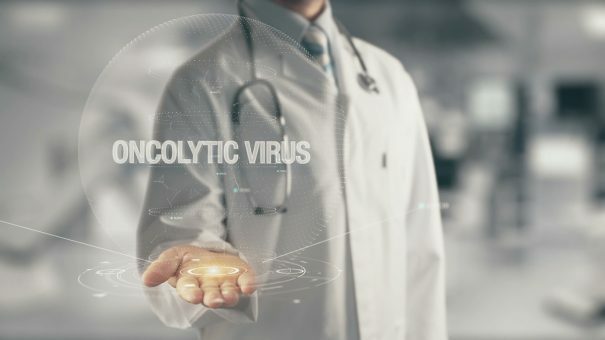 The oncolytic virus therapy, in the light of the modern scientific advancements, has recently been recognised as a promising new approach in oncology, particularly when used as part of a combined therapy. Over the last twenty years of development, the game changer within oncolytics was the discovery that a specific tumour immune response can be efficiently catalysed using a virus as the transportation mechanism. While the behaviour and reproduction patterns of the carrier virus can be precisely controlled. At the recent American Society of Clinical Oncology conference, Igor Puzanov, professor of medicine and director of early phase clinical trials at New York’s Roswell Park Cancer Institute referred to early-stage trials showing that combining the oncolytic virus used in Amgen’s Imlygic (talimogene laherparepvec) with Keytruda can produce a stronger response than either of the two components taken on their own in advanced melanoma patients. Data from his phase 1b study published last year showed a 62% response in melanoma patients. Those treated with the combination had an increased expression of PD-L1 and elevated levels of the CD8+ T cells. There were also higher levels of interferon gamma, a protein associated with an elevated immune response to certain infections. Puzanov and other authors suggested during the conference that the combination therapy changes the area around the tumour such that it is more vulnerable to immunotherapy. Imlygic not only causes tumour cells to self-destruct – it also codes the protein known as granulocyte-macrophage colony-stimulating factor (GM-CSF) to kill other cancer agents giving the immune system a statistically considerable boost. Another crucial property of oncolytic viruses is that even though they are often injected directly into tumours, the immune system will also begin to attack any other tumours that are present in the body, following the injection. The immune system can also be stimulated by the range of cancer antigens emitted by the tumour cells as they are broken up by the virus. According to Puzanov, this turns the existing immunotherapy paradigm on its head – rather than targeting a single antigen on a cancer cell’s surface, it creates the possibility of a broader attack from the immune system. Despite the impressive results seen in immunology, and the US Food and Drug Administration approvals for two CAR-T treatments, immunotherapy alone is only effective in about 20% of cancers. This is why researchers challenge themselves to address the needs of the remaining patients who’ve been unable to harness the potential of these biological therapies. While it has taken pharma some time to fully understand the potential of oncolytic viruses as effective immunotherapy agents, recent research and clinical developments have revealed the ways we can utilise them to full potential. This renaissance in oncolytics potentially solves two of the main issues with existing immunotherapies – namely the ability to turn tumour cells into inflamed cells, thereby enabling the immunotherapy to operate and secondly overall efficacy – which in most cases is improved using the combined therapy approach. The race is now on to open up this treatment class to the 80% of cancer types which are currently not receptive to checkpoint inhibitors and as such a flurry of acquisitions and significant clinical advancements are evident. In May Janssen acquired BeneVir BioPharm – a private biotech developing a proprietary oncolytic virus platform to be used in combination with checkpoint inhibitors – for just over $1 billion. Just a few months prior to that deal Merck purchased Australian-based Viralytics for just under $400 million, giving them rights to develop and test Keytruda (pembrolizumab) with Viralytics’ oncolytic virus. It’s also important to note a recent trend of collaboration between pharma and oncolytic virus companies, as both seek to validate the potential of oncolytic viruses and immunotherapies when administered simultaneously. By arming oncolytic viruses with functional transgenes, a whole panel of oncolytic viruses with a variety of antitumour functions could be available in the future, from which a combination of appropriate viruses can be selected according to the type and stage of the cancer. A new era of cancer treatment seems to be on the horizon, and if cost challenges are overcome, could mean a future where cancer patients can freely choose oncolytic virus therapy as a treatment option. Our reporter Richard Staines has more details from the ASCO 2018 conference about oncolytic therapies. Read the full article: Oncolytic viruses on the rise and Oncolytic virus renaissance in the latest issue of Deep Dive magazine for more insights and scientific details. 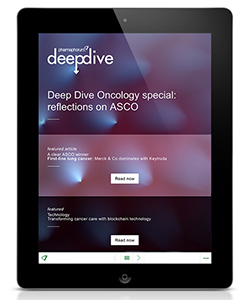 Click here to read more articles in the 2018 Deep Dive Oncology special. 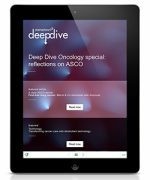 If you would like to read previous editions of Deep Dive, or sign up receive future editions, please visit the Deep Dive homepage.